The recent political storm over Vijay Mallya is unlikely to abate soon. But going after Mr Mallya alone would be a classic case of missing the wood for the trees. One striking element continues to elude everyone’s attention. Could Mr Mallya or anyone else allegedly pull off such a heist without the connivance of the famous ABC: auditors, bankers, consultants (co-conspirators). Funds diversion of Rs2,100 crore during 2010 and 2013 from United Spirits Ltd (USL), the flagship company of UB group owned by Mr Mallya, was detected as far back as in 2014 by a forensic team of PricewaterhouseCoopers (PwC), UK. Interestingly, PwC were the auditors of USL till 2010-11. Thereafter the audit was done for some time by Walker, Chandiok & Co, a member firm of Grant Thornton and then by BSR Raut & Co who finally raised some red flags. MCA alone is not the indulgent one. The Institute of Chartered Accountants (ICAI) will beat it hands down any day. Dr Kirit Somaiya, member of Parliament (MP), wrote a letter on 21 March 2016 insisting that ICAI, MCA, Securities and Exchange Board of India (SEBI), Reserve Bank of India (RBI), Enforcement Directorate (ED), Central Bureau of Investigation (CBI) and bankers should initiate strong action against PwC who were acting as facilitators to the promoters and scamsters in various scams such as Global Trust Bank (GTB) scam, Satyam scam, Vijay Mallya, Kingfisher Airlines and UB scam. Displaying admirable alacrity, the president of the ICAI, replied on the very same day to the MP saying that they are seized of the matter in the USL case. ICAI’s bluff to the MP was exposed by an RTI query by this author. Three months later, ICAI did not even know the names of the auditors of USL, let alone investigate their role. ICAI’s response also exposed that Joint Parliamentary Committee (JPC)’s recommendations for action against PwC in the GTB scam had been pending for implementation for the last fourteen years. GTB, and USL are not the only cases languishing with ICAI whose top management is deemed to be public servants within the meaning of section 21 of the Indian Penal Code (IPC). Only last year, prime minister Narendra Modi had lambasted its poor track record; there has been action in only 25 cases over the past decade, and 1,400 cases are pending. Giving tough competition to ICAI is CBI. Recent media reports suggest that it is only now that CBI has started looking at the role of some senior finance ministry officials in the decade-old scam. Bankers, on their part, have been guilty of little due diligence: inflated cost of capital equipment through over invoicing is hardly checked, poor monitoring of loans post disbursal, ever-greening of loans to avoid recognition of losses and extension of loans to well-connected promoters, despite a history of defaults. 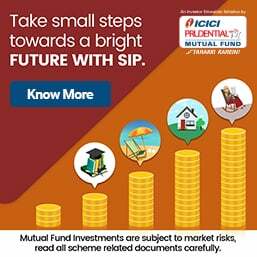 These views have been endorsed by no less than Raghuram Rajan, former governor of RBI, who did not mince words on the role of the bankers while recently presenting his views on the non-performing assets (NPAs) problem to the estimates committee of Parliament under the chairmanship of Murli Manohar Joshi. Importantly, bankers should not be allowed to go scot-free even if there was political interference. Excuse of political pressure, even if established, is an extremely dangerous theory to propagate. Every junior, irrespective of the field, would then get away citing directions from his superiors. Shouldn’t deterrent and time-bound action be taken against all those who connived in the fraud? The harsh reality is that, despite the obvious staring in our face, hardly anything will change on the ground. As Mr Rajan also lamented, the system has been singularly ineffective in bringing even a single high profile fraudster to book. As a result, fraud is not discouraged. The only practical solution therefore lies in daily chanting of the mantra called GSTC—God save this country! Everyone from top to bottom is involved. Everyone gets their share. While the PM only opens his mouth while some election rallies are announced. The nexus among bankers, auditors, businessman, politicians and lack of accountability of regulators create hey days for fraudsters in Indian banking system. The article rightly depicts the system that is going on. If the persons responsible for taking action against frauds is psychologically impure, all sorts of treatment will go in vain. Purify yourself first with love for the country and a zest for a clean system. Perfectly right observation, as made in the title of the article. Frankly speaking, I could not read the article, but the compelling title of the article made me to post my practical experience based comments. Inefficient management recruits mostly the inefficient, favourites, pampers or touts, as internal auditors. They would also prefer to propose some statutory auditors, who prefer to support corrupt practices to help hide the sins of the management. The writer has succinctly summed up the accountability of all stakeholders. Why this? Simple. All of them are being taken care of by the company. Company knows that all of them are cheap stuff and can easily be bought over. Any unheard voice or revolting will be dumped. Faulty appraisal by lenders. In fact, their skill set is obsolete and does not get marked up with time. Bankers have never been good at appraisals and it's an open secret. One simple question to lenders: How do you know all lines of business? Financing airlines, software, foundry,textiles, and a list of every business activity. Why PM Modi is not doing anything in the matter? Very sad, really! All politicians, past and present, are equal culprits and it is our misfortune that we have them. You seem to have very narrow thinking! You are completely mistaken to hold a Prime Minister of the country accountable for all the ills, irregularities, and crimes committed in the country. You should know that PM Modi is not holding post of a Board Director in any of the Banks' Board. If everything a PM of the country has to handle in each and every of the millions of the organizations of the country, there arises no need of establishing full fledged Departments and the Boards of Directors in various organizations. Moreover, if every task of the PSUs are meant to be accomplished by an incumbent of a Prime Minister, the public of the country should forget about development of the country as whole. About politicians, may they be honest, culprits or criminals, they are elected by the public only. That way, the public can also be held responsible for the debacle of the country's economic conditions, as to why not they used their wisdom to send the right candidates to the Parliament and the State Assemblies. You and me are also among those voters, who would have elected one or more of the politicians every five years or even earlier than that period. Moreover, politicians have nothing to do with the corrupt practices of the managements of the PSUs. Moreover, you must have noticed that they more or less fight for their own empowerment. In fact, it is the failure of the Vigilance Departments established within the PSUs and the CVC, as the monitoring body over and above them, which failed to adopt preventive vigilance measures in discharge of their genuine duties and responsibilities towards curbing the events of frauds and money laundering that happened down below their noses. On the part of the Central Vigilance Commission, as per my practical experience in handling various departmental inquiries for the past 38 years, they were found doing the only job of tainting the honest employees belonging to the lower cadres by labeling them as dishonest and unfit employees on recommendation of the corrupt employers. They may perhaps be feeling themselves satisfied only with the manipulated statements about the numbers of the vigilance cases cropped and settled, as are sent by the Vigilance Departments of the organizations just to fill the files of the CVC every month. So, better try to understand the structure of the Government, its departments and the autonomous bodies as well as the roles and responsibilities of various functionaries of the Departments, Boards, Vigilance Wing and the Auditors before making any comment on the issues. Why no one is taking cognizance of the game the hostile country playing host to refugees from India? There their Lordships are whiling away time discussing about toilet facilities in India (admittedly, the cleaning up was not taken up seriously post-independence) and adjourning cases by weeks and months. When people at the top lack integrity and let VM leave,they are the real culprits.Agree auditors also involved but Jaitly is the main culprit here. EVERYBODY IS GUILTY, NOBODY WILL BE PUNISHED. ALL IS WELL. But non support the internal auditor who brings out irregularities,and harassed and punished for bringing out irregularities by the executives misusing their administrative powers. Even judiciary supports such actions " since the officer is stickler for rule he can be given compulsory retirement"
Non of the Govt authorities including PMO and Presidents office least bothered to initiate action against the culprits for their irregularities, forget giving justice to victimized officer. If this is the condition why blame an auditor. Vijay Mallya? How about Bankers, Auditors, AND the politicians and bureaucrats who anointed "brand equity" as suitable collateral and bankrupted Kingfisher by buying egregiously excessive capacity for Air India? GSTC mantra is one option. But the rich and the powerful have separate accounts with Gods, Godmen and law makers. Some of them have special connections with media houses also. The way in which nature is responding, God is not keen to "Save" any country, though some countries claim the ownership of God! The Supreme Court on Thursday said the National Company Law Tribunal (NCLT) and the Appellate Authority (NCLAT) should refrain from interfering in insolvency resolution proceedings by the Interim Resolution Professional (IRP) and the Committee of Creditors (CoC) of the lender banks of a sick enterprise under the Insolvency and Bankruptcy Code (IBC). Making it clear that the role of adjudicating bodies -- NCLT and NCLAT -- come only after resolution plan is finalised, a bench of Justice Rohinton Fali Nariman and Justice Indu Malhotra said that by their "jumping in" when the proceedings before IRP and CoC is going on is like throwing spanner and everything goes. Emphasising that "None of these steps by the Corporate Insolvency Resolution Process (CIRP) and the CoC could be interdicted in between", the Court said, "They (NCLT and NCLAT) are not supervisory authority to see what is happening, who was invited, who not..."
Making it clear that the adjudicating authorities do not come into picture when resolution process is before IRP and CoC, Justice Nariman said it is only after the resolution plan is finalised that the "adjudicating authorities can look into the whole thing including if it is in accordance with the law." The court said this in the course of the hearing of a petition by ArcelorMittal on challenging the NCLAT order directing it to clear Rs7,000 crore liability now beleaguered Uttam Galva and KSS Petron with whom he was previously associated by virtue of his 29 per cent holding. The court said that "everything is wrong" in the case of resolution proceedings on Essar steel. "Here, everything is wrong, from top to bottom. Adjudication is wrong," said Justice Nariman. The Court's observation that both NCLT and NCLAT should remain at bay till corporate resolution proceedings are being conducted by the resolution professional and the CoC came while it agreed with senior counsel Harish Salve that till the insolvency proceedings are being carried out by the resolution professional and CoC within the timeframe of 270 days, the adjudicating bodies should stay away. The only question or concern in the corporate resolution proceedings, court said is "How do you propose to lift the company out of weeds." The court said this as Salve advocated that CoC, which is the main force for the hammering of the resolution plan should have an elbow room to deal with the interested parties as the goal is "maximisation of value" of the entity facing proceedings under IBC. "Anything that maximises the value (of entity facing insolvency proceedings) and stays within 270 days (180 plus 90 as provided under IBC), NCLT should stay away, Salve told the bench. He said that IBC could not be read in a wooden fashion where a person with a good resolution plan is ousted mere because he is in default somewhere else. He said that CoC can always ask him to clear the default and entertain his plan. Liquidation of assets is an option that is always there, Salve said pointing out that liquidation would not result in maximization of value but would result in their minimisation. The court asked Salve and also senior counsel Gopal Subramaniam to give a note on alternate permutation and combination if a resolution plan suggested by the resolution plan accepted by the CoC is junked at the stage of NCLT, NCLAT and the Supreme Court and all these stages consume three years. "If process starts again what we do," Justice Nariman asked. Salve told the court that there should not be no "interception of resolution profession and CoC by the NCLT. NCLAT or by the High court under Article 226 till the plan is finalised as profession resolution is not a statutory proceedings." The day long proceedings also saw Salve telling the court that even if he was willing to pay Rs 7,000 crore -- an eligibility condition saddled by the NCLATA for ArcelorMittal to be eligible to bid Essar Steel -- that would not be an easy task. Payment of Rs 7,000 crores, Salve told the court would result in tax liabilities for Uttam Galva and KSS Petron and also asked in what capacity he would be making these payments. Pointing to the "much fuss" over the putting Rs 7,000 crore in escrow account, Salve said, "I can't pay for Uttam Galva as it will become taxable. It is not as easy as that you pay (to become eligible). You have to go through regulatory mechanism. There has to be a corporate structure to pay." NCLAT has saddled ArcelorMittal to clear Rs 7,000 crore liability of Uttam Galva and KSS Petron as it was associated with these two companies. .
ArcelorMittal is contesting this liability saying that he had divested its stakes at loss not for being eligible to bid for Essar Steel but described it as bad investment. The Finance Ministry on Tuesday doubled the minimum threshold for filing cases in debt recovery tribunals (DRT) to Rs20 lakh to de-clutter DRTs so that they can focus on quick recovery of high value non-performing assets (NPAs). It also advised public sector banks (PSBs) to develop an e-auction portal in collaboration with the Indian Banks' Association (IBA) and upload details of properties of all defaulters on the common platform to have an enlarged bidder base. "The Department of Financial Services has adopted a targeted approach to make debt recovery laws and processes more effective so as to increase recovery of public money from defaulting borrowers," Finance Services Secretary Rajeev Kumar told reporters. He said the government is expecting good recovery in the second quarter. As per the government data, there were 38,376 cases with a default amount between Rs 10 lakh and Rs 20 lakh pending in DRTs till June 30. This accounted for 38 per cent of the total pending cases but amounted to only four per cent of the total value, he said. The share of cases in the range of Rs10 lakh to Rs20 lakh filed with the DRTs in recent months increased to 41%. "Data indicates that 80%-85% of NPA cases in the range of Rs10 lakh to Rs20 lakh are fully secured. 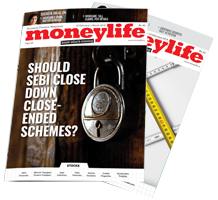 For their recovery, lenders can take action under the Securitisation and Reconstruction of Financial Assets and Enforcement of Security Interest (SARFAESI) Act," Kumar said. The secretary added that while auctioning of properties is a core activity of banks to ensure recoveries, in the absence of modern techniques, positive results from property auctions were limited and potential buyers were not fully informed of all details. "Now PSBs have been advised to get together with the IBA steering an initiative to redesign the PSB e-auction websites. Details of auctionable properties across banks have been standardized and a common platform is on the anvil," he said. The government has asked state governments to monitor and ensure that orders are passed by the respective district administrations within the stipulated 60 days time limit and extend help to banks and financial institutions to get possession of secured property of defaulting borrowers. "Over 10,000 applications from PSBs are pending (at the districts)... District Magistrates are required to pass orders on secured asset seizure within 60 days by banks for their further disposal," he said. Kumar said the government has started computerizing the records of cases across all 39 DRTs and five Debt Recovery Appellate Tribunals. Similar to the e-court software, the e-DRT will enable banks and asset reconstruction companies (ARC) to e-file cases and access all relevant records.